Jayne Rennie received her diagnosis of breast cancer just four months after losing her job, which at age 70, there was no chance of replacing. On top of the bone-deep fatigue and stress of her disease and treatment, her house wasn’t selling, and financial difficulties were mounting. To make things a little easier for her, staff at Winchester Hospital’s Center for Cancer Care gave her $50 gift cards, which she used for co-pays and for gas to get to and from her appointments. The gift cards came from the Dr. Richard Heidbreder Comfort Fund, which is intended “to alleviate some of the burden and hardship of the cancer journey.” The fund also helps patients with the costs of supportive therapies like massage, acupuncture and yoga, all provided through the hospital’s Center for Healthy Living in Woburn. “I’m so grateful and blessed by God for the wonderful care I got at Winchester Hospital,” says Rennie. “And the gift cards they gave me couldn’t have come at a better time.” She particularly appreciated that it was up to her to decide how to use them. While it was well worth it for her to drive 20 miles each way from her home in North Andover to Winchester for her cancer care, “the price of gas added up, as did all the doctor co-pays,” she said. The fund was named for Winchester Hospital’s beloved former medical director of radiation oncology, Richard Heidbreder, MD. He and his wife Susan gave generously to get the fund rolling in 2011, before he succumbed to amyotrophic lateral sclerosis (ALS), a progressively fatal brain disease also called Lou Gehrig’s disease. Known for his compassion, Dr. Heidbreder expressly wanted the fund to help patients with expenses outside the standard cancer treatment. 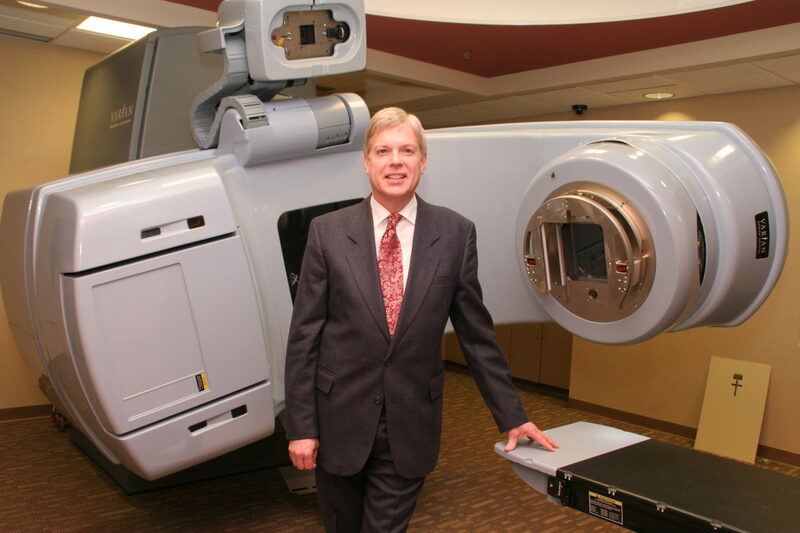 Around the same time, the Dr. Richard Heidbreder Center for Radiation Oncology was named in his honor. Thanks to the Comfort Fund, an acupuncturist or massage therapist are available each week in the infusion area—where chemotherapy drugs are delivered into the bloodstream via an infusion pump. Some patients find that acupuncture, for example, eases side effects such as headaches and nausea that would otherwise debilitate them the day or so after treatment. One patient with ovarian cancer used to be in extreme pain after chemotherapy from her toes clenching, keeping her up at night. When acupuncturist Joseph Kelliher treated her, he said he “could feel her toes relax,” an effect that lasted a couple of days before requiring a second treatment. Mizer, along with social worker Lorri Kimball and clinical coordinator Jennifer Donnelly, are the team orchestrating use of comfort funds, with $130,000 spent to date. They’ve seen how much good has come from the fund and would like to be able to help more patients. Gifts to the Heidbreder Comfort Fund can be made payable to the Winchester Hospital Foundation and sent care of the Foundation to 41 Highland Ave., Winchester, MA 01890. Online gifts may be made here. The gift cards came from the Dr. Richard Heidbreder Comfort Fund.